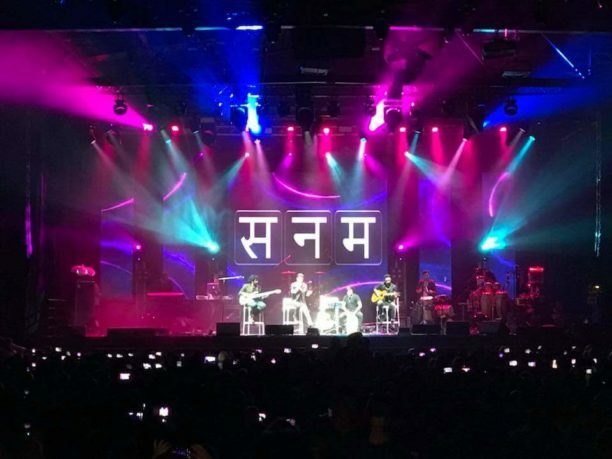 One of the many exciting things that bands get to do is the tour the world and India’s fabulous four SANAM, recently gave a concert in Israel. In case you are still wondering who exactly SANAM are: they are a four-piece band consisting of brothers Sanam (lead vocalist) and Samar Puri (lead guitarist), bass guitarist Venky S and drummer Keshav Dhanraj. The band releases their melodious songs at their YouTube channel, which has an extremely strong fan base of 2.7 million fans and counting! They regularly release their original compositions, as well as recreations of retro and modern hits, plus regional songs too. As well as performing in their home country India, SANAM have been touring internationally and have performed in various locations such as Rotterdam, Trinidad and more recently Israel. They are taking their love for music, on an international level, and this is a very exciting new phase for them! 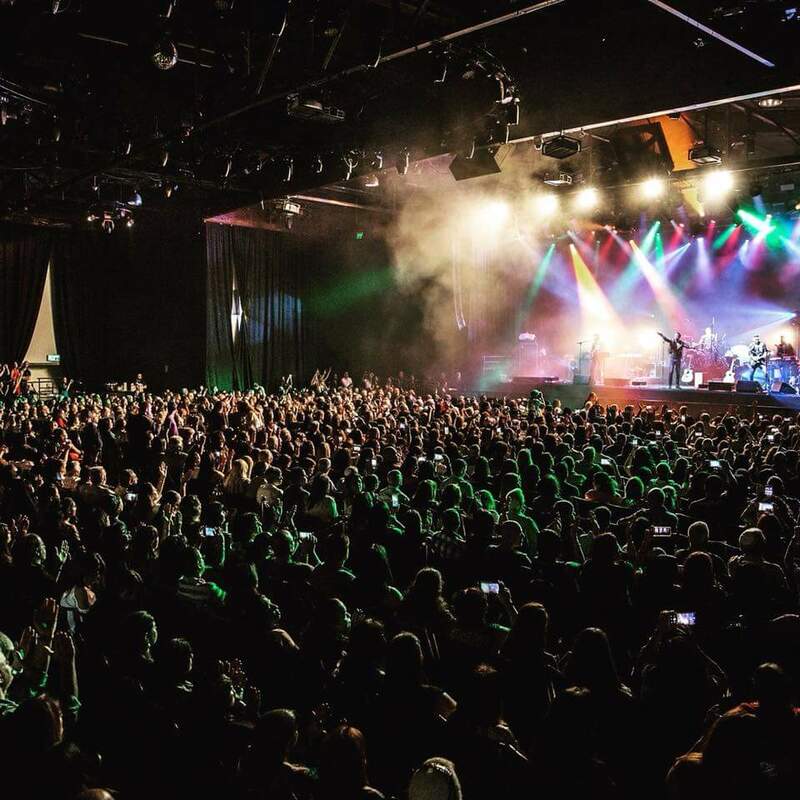 The band are passionate about bringing a positive change to people’s lives through their music, and it is wonderful to see them making progress internationally, giving their music a more global reach. We have a very special feature just for you! A travel diary from the band. 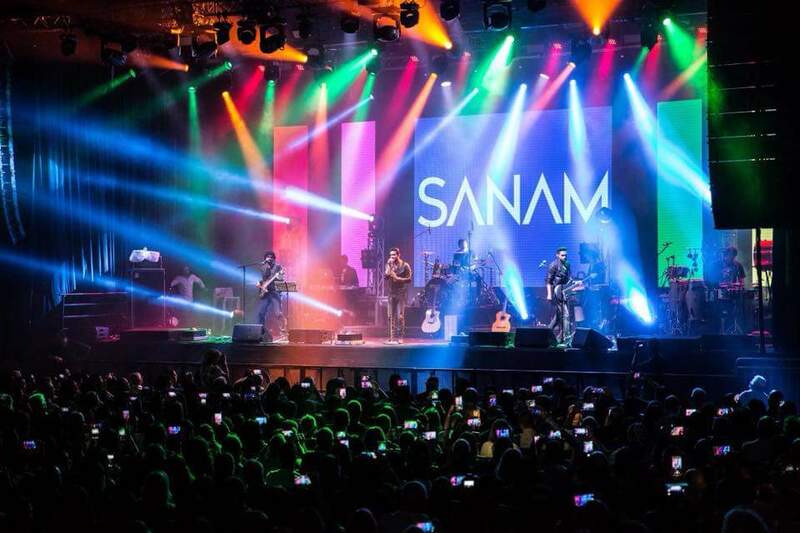 I asked SANAM to share with us their main highlights from their recent trip to Israel. Read on to learn about their recommendations for sight-seeing, music and cultural highlights, food and more! 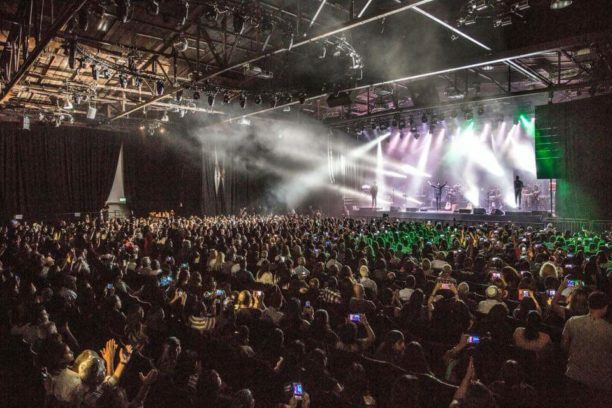 Sanam – Firstly, I must say that the people in Israel are very welcoming and down-to-earth. It’s not a big country compared to ours, yet there’s much to do and see. There’s a lot of history there and I was in awe of their infrastructure. Top places to visit include Tel Aviv, Yafo, Jerusalem, Masada and Dead Sea. Even though Bethlehem is in Palestine, you can visit it during your time in Israel. There’s a long list of places to visit. My favourite thing about Israel is their food. Since I follow a vegan diet, there were many options for me to choose from and some of them have become my all time favourites. Breakfast at Antastasia Cafe is a great way to start your day – their house spreads and vegan omelette are top notch. Another restaurant that got introduced to me which served Georgian food, was Nanuchka – outstanding stuff. I’d say just go there, explore and experience everything yourself. Samar – I loved spending time on Gordon Beach and the boardwalk. When I did get out, some of the memorable experiences I had included shopping and of course food! I did most of my shopping at this store called CASTRO – I love their style, so I picked up a few shirts and stuff. Their designs are unique and different from what we usually get in India. For food, some of my picks are: Rainbow Burger – I prefer to not eat much dairy because it doesn’t suit me. The texture of the patty is identical to meat and it’s excellent – so all you vegetarians deprived of a good veg burger – you have to check this out! Oved’s Sabich, Givatayim – Eat a local sandwich called Sabich Givatayim. Oved/Obed calls it – “The best dish in the universe”. Black coffee – I bought a popular coffee called Elite Turkish coffee – it’s the most popular coffee in Israel. As they say, cheap and best! It’s easy to make, you have to empty the contents of the packet into a cup, pour hot water, stir, let it sit for a minute, tap the bottom of your glass/cup/mug 4-5 times, wait another minute and drink. You drink this coffee black and I prefer it without sugar. Venky – Music is my life, and my inspiration is always through music. I got to watch so many local artists and talented musicians in Israel – Roei Freilich @ Rotschild 12, Yossi Fine & Ben Aylon feat. Tamer Nafar @ TEDER.FM; and many acts at an independent music festival called inDnegev 2017. Some of them were Lo (from the band Infectia), Luna Abu Nassar, Aya Feinglein, Alon Eder, Noga Erez, Gal De Paz and a new favourite band of mine called Rockfour. I love their song called “Haish Shera’a Hakol ((האיש שראה הכל) – it’s reminds me of psychedelic 60’s rock and also of The Who and The Beatles in terms of song writing/vocal parts. Also I had the time of my life watching Cory Henry & The Funk Apostles @ Barby. I’d gotten all my guitars serviced by what I’d call a guitar doctor – Alone Sage (Coils Boutique) – for all you musicians reading. The first few days when I woke up at my hotel, the view made me want to go and take a dip in the cool waters of the Mediterranean Sea, so don’t forget to carry your swimwear when travelling to Israel! I loved my time on the boardwalk of Gordon Beach. Now let me tell you about the amazing food you get there – I’d have a fresh glass of pomegranate juice or as they call it ‘Rimon’ juice everyday – so energizing! My favourite breakfast is Shakshouka and you get it everywhere. I also love olives and dates – you get a wide variety in any market – be it Makhneyuda or Sarona or even Jaffa. And I couldn’t do without fresh tahini and hummus; the halwa at halva kingdom (try out the jerusalem mix); vegan dark chocolate at Max Brenners; the most amazing pistachio baklava at Mahroum’s in Nazareth; Sweet potato at Port Said, etc. There’s a lot of love for Indians in Israel – many of them come to India (especially beachy areas like Goa or hill regions like Himachal Pradesh) after their compulsory military service to find peace or ‘Shanti’ in their lives. So if you’re Indian, chances are that you’ll have a good time in Israel; and as they greeted me on our way out of an ice-cream shop in Jaffa – “Namaste”. Day Twelve – Tel Aviv – Alone Sage is the finest guitar luthier I've met! His knowledge on the subject is vast; he really is a guitar doctor. Looking forward to getting a pair of his custom made pickups on my basses one day! #coilsboutique #handwoundcoils #handwoundpickups #guitardoctor P.S. that's his personal bass – it's a monster bass with so many tonal options. Keshav – I really like historical sites so I recommend you visit as many as you can. I spent a day in Jaffa (Old city) walking around and ate some amazing shawarma at a local restaurant. We visited The Dead Sea and also some religious sites like Bethlehem and Nazareth. We’d visited Jerusalem (The Holy Land) during the Jewish holiday called Sukkot, hence there were many people visiting like us and we could feel the spiritual energy around us. Jerusalem is the meeting point of three big religious faiths (Judaism, Christianity and Islam) – Temple Mount which holds – Western wall/Wailing wall, The Dome of the Rock, al Aqsa mosque and where the Temple in Jerusalem originally stood; and also important Christian sites like Gethsemane, Via Dolorosa, and the Church of the Holy Sepulchre. It’s amazing to see how Israel is a melting pot of culture, and you’ll experience this while visiting all parts of Israel. The mediterranean breeze makes you feel amazing and no wonder you want to keep your surroundings clean when you’re visiting. What amazed me was the level of fitness of the Israeli people. The government believes that if their citizens are fit, they would probably require lesser health care when they grow older and be more effective in their respective areas of work. This is a great attitude and since I love working out, this culture really appeals to me. Their fitness levels are definitely up there with the best, so it’s easy to be inspired to go out for a run or work out. They have outdoor workout areas in all areas of the city and I think its a great initiative. You’d see young children working out/being active in the outdoor work out spaces and people of all ages using it – even the elderly stay fit. There are designated spaces to bring your pets on the beach, so people take their dogs out for runs. There are public volleyball courts and people who surf on the beach as well. SANAM have clearly enjoyed their stay in Israel, and it has been wonderful to see their snapshots from their trip. It is always great to hear that a band from India has received such a warm welcome in a different country, and I look forward to seeing where their next international destination will be! The band received an amazing response to their concert! Check out these snaps below! 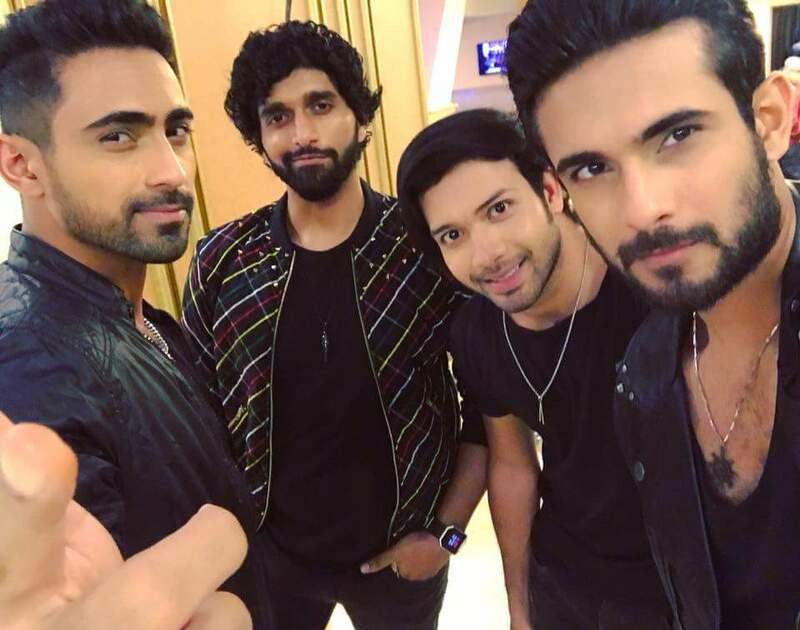 Enjoy their latest release ‘Itni Door’ which is an original composition, created by SANAM. 16 queries in 2.036 seconds.